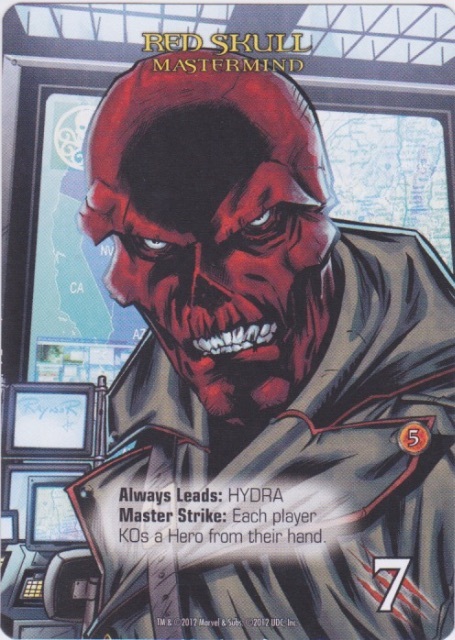 Master Strike: Each player KOs a Hero from their hand. Fight: You get +4 Recruit. Fight: Draw two cards. 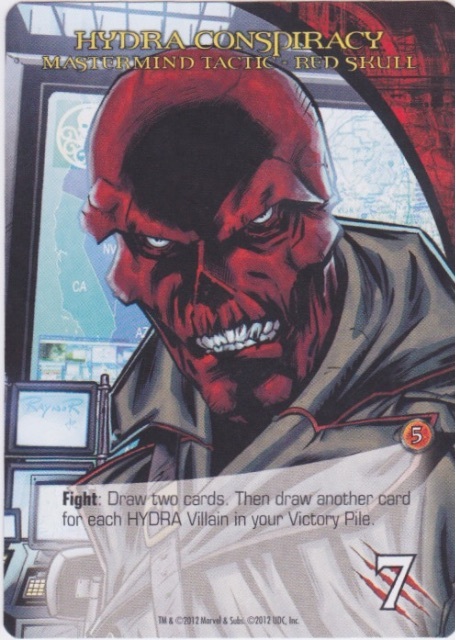 Then draw another card for each Hydra Villain in your Victory Pile. Fight: You get +3 Attack. Fight: Look at the top three cards of your deck. KO one, discard one and put one back on top of your deck.